As it stands, digital marketers are far too reliant on social media as a platform for lead generation. They’re obsessed with follower growth, page inquiries, and Facebook Messenger opt-ins. Didn’t we learn anything from Facebook’s algorithm overhaul that destroyed the organic reach of business pages? Here’s the thing: By relying on social media leads from platforms such as Facebook you are at the mercy of the decisions they make as a company. And I can tell you right now, they will make decisions that deliver them more revenue. As it stands, Facebook makes most of its revenue from businesses, so when they need to find new ways to make more money whose door will they come knocking at? Don’t get me wrong, this is not a post attempting to banish social media as a lead-generation platform in its entirety. In fact, I’m one of the biggest social media advocates around. But we need to think about it differently and re-evaluate the way we collect leads. Facebook Messenger alone isn’t the answer because at some point, what’s stopping Facebook from forcing you to pay to engage with those leads? Instead of gaining leads ON social media, you need to leverage its power to drive traffic OFF social media to your website where you can collect leads you own the rights to. Here are 3 tactics you can use to re-evaluate your social media strategy and start collecting leads on your own property. Facebook, for example, wants their users to spend as much time as possible on their platform so they can show them more ads and optimize the per-user revenue they are making. To do so, they have introduced smart innovations such as automatic Facebook Messenger lead capture for ads, and instant articles that give users the information they seek without ever leaving their interface. For the user, this provides a seamless experience. But for you, the business owner, this gives Facebook complete control of your leads and decreases your brand exposure. If someone reads a Facebook instant article and then navigates back to their newsfeed you may be forgotten forever. This is compared to driving traffic to a landing page or blog article on your website where users read the content and then choose to navigate around your site, further embedding the brand experience in their memory. Sure, you will need to spend a little bit more time and money to get people off Facebook and to your website, but that extra effort will be worth it. Because as soon as someone lands on your website you can engage them with a cluster of other tactics – interactive experiences, Google remarketing, intuitive chatbots, or even email marketing. They are no longer a Facebook user but instead are a prospect of your business. One area where I see marketers making this mistake regularly is through their interactive marketing campaigns. Interactive marketing is an approach that uses engaging elements such as contests, quizzes, polls, calculators, and messenger bots. Instead of hosting these campaigns on a custom branded landing page on their website, they host them on their Facebook page or Twitter profile. With so many affordable tools available, such as ShortStack, that enable you to build contests, polls, calculators, and other interactive campaigns as embeddable experiences on your own website, there is no need to host these campaigns on someone else’s turf anymore. Whether you run offline events, sell cars, online courses, or a SaaS product, your “list” of prospects and customers is your key to customer growth. From a digital perspective, this concept has traditionally been associated with an email list. But in recent years that definition has expanded. Your “list” is now your email subscribers, social media following, remarketing list, chatbot leads, and more recently Facebook Messenger subscribers. So the obsession with growing a list continues, but the format in which you do so has changed and adapted to the trends of the time. As I mentioned above, Facebook has tweaked their ad experience so that users can engage in Messenger in the click of the button. What this means is that you can grow a Messenger list far more quickly, and far more inexpensively than you can by enticing users to your website and encouraging them to opt into your email list. 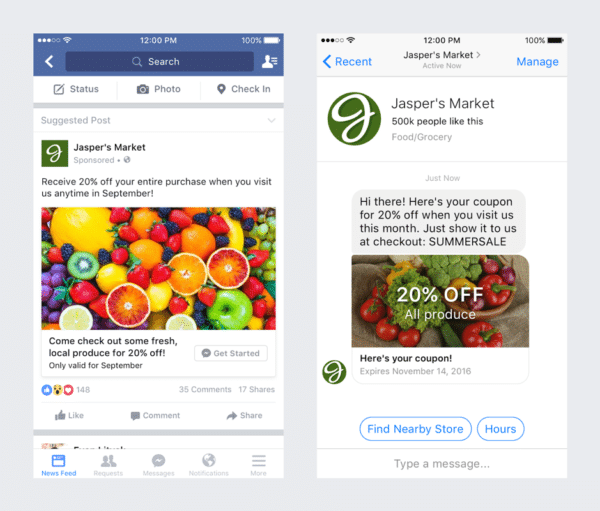 Facebook ad to Messenger example. It’s a catch 22… it’s easier and there’s less friction, but the leads you capture aren’t the same quality. So, in saying that, if you want to use a Facebook Messenger list to grow the group of people you can communicate with, go for it. But the one thing I would encourage you to do is to have a plan for actively taking those “Facebook-only” leads into an environment that you own, such as your email list. You can do this by creating a Messenger drip sequence (much like an email autoresponder) that presents a compelling offer to your Messenger leads and encourages them to join your email list. Or, they choose not to. But in this scenario, you still have them on your Messenger list, and for as long as Facebook keeps this list free, you can communicate with these leads, provide them additional value, and potentially convert them into a warmer prospect down the track. Ahhh… now this one is my favorite tactic of them all. Basically, you create high-quality content, drive traffic to it, pixel that traffic on a remarketing list, and retarget them with a compelling offer to join your email list. Its origins are in content marketing. Which means you are building trust, credibility, and thought leadership all while growing your lead list. If well-tested and optimized over time, it can mirror the traditional journey of a customer, providing them the information they need at every step along the way. Step 1 – Map out your ideal customer’s pathway from stranger to customer and beyond by identifying the key questions they have at each point along this journey – Attract, Convert, Close, Delight. Step 2 – Create high-quality free content (blog posts, webinars, videos etc) that answer each of the key questions you identified in Step 1. 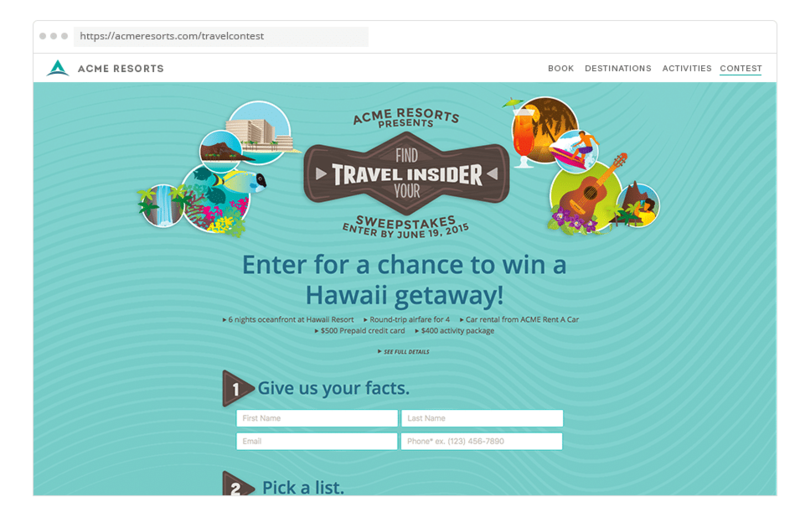 Step 3 – Create gated experiences (free resources, video series, premium content, contests, calculators etc.) that complement each of the key questions from the top-of-the-funnel (Attract) and entice participants to join your email list. Step 4 – Use a combination of organic social media engagement, influencer outreach, and paid content distribution to drive traffic to your free content that answers the top-of-the-funnel (Attract) questions. Step 5 – Pixel those who view your free content and retarget them with Facebook or Google banner ads, offering your gated experiences. Step 6 – Combine email drip campaigns with retargeted ad campaigns to periodically nurture leads from the top to the bottom of the funnel. 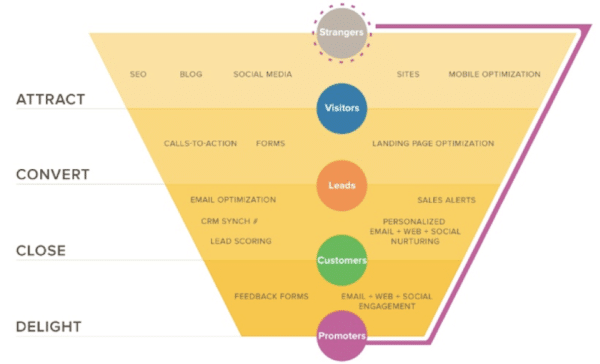 It’s not time to throw social media lead generation on the scrap heap, but we need to be smart about it. Algorithms and experiences have changed before and they will change again. You need to be ahead of the curve if you want to make your digital strategy sustainable. The 3 tactics above are just a few ways of looking at it, but in the end, it’s not about tactics. It’s about thinking from the right frame of reference and de-risking your social media strategy so you’re not left scrambling at some point in the not so distant future.